Q: What do you get when you cross ancient four-legged creatures and a Scooby-Doo-style haunted park? A: The ZiGong Dinosaur Museum! Last weekend, as a part of my ongoing CLO outing series, I spent Saturday about three hours outside of Chengdu in a city known for its spicy food, its salt production and its dinosaurs. (What a combination!) I’d like to report that all three meshed together well, but although we did have spicy bullfrog for lunch, there was no dino meat to be had and spice made much more of an appearance at our table than did the salt. For a year now, I’ve been hearing about how great the ZiGong Dinosaur Museum is and that I definitely needed to take a trek out there before leaving Sichuan. So, with such strong recommendations to back it up, I planned a Saturday event to go see what all the fuss was about. Our travel group included lots of kids, some of whom were dressed in head to toe dinosaur swag, ready to visit the heart of their obsessions. The ZiGong museum is actually a highly rated center, as it holds the distinction of being one of only three dinosaur museums in the world to include a dig site. (The other two are Vernal, Utah and Alberta, Canada.) CNN rated the ZiGong Museum as one of the top ten dinosaur museums in the world, but I think whoever wrote the article did their research from a distance. The thing is, there are some amazing fossils at the site, which sits atop the Dashanpu dig area, including eighteen complete skeletons in a burial site and a huge number of partially intact remains. Plus, having the actual dig site as a part of the museum, where patrons can walk through the area and see the bones still in the ground is awesome. But, the greatness can be easily overlooked by the other randomness around the fossils. For example, in the fossil hall where the dinosaurs have been recreated in diorama-type exhibits, an inordinate number of them showcase the carnivorous meals of the various creatures. (Yes, I know the killing and eating of other animals is a part of Simba’s Disney-taught “circle of life,” but I’m not sure it needs to be the focal point of so many exhibits! We get it! Dinosaurs ate one another!! At some point, I began to debate the possible merits of dinosaur meat vs. the bullfrog that showed up at lunch…) I had to laugh when I first walked into the hall because I was standing in the doorway, excitedly taking in the huge displays, when I looked straight up to see a dinosaur skeleton dangling from the mouth of another dinosaur, directly above my head. Eww! I also particularly liked the display that had a tiny (in comparison), quick-looking dinosaur speeding away from the one behind it that was baring giant teeth. The sign in front gave information about the time period that these creatures lived in, as well as details about their habits. It then ended with the words, “Speed is life.” Yes! For that little guy, speed is definitely life! Wandering on from the various displays and digs, I was about ready to call it a day for my inaugural visit, but before I could make my way out of the building, I spotted the highlight of the trip- a dinosaur you could ride! That’s right! It was a rubberish-feeling, horse-sized dinosaur with a metal saddle mounted on its back. With a rickety wooden stepladder as leverage, I quickly clambered to the top for a photo-op to commemorate my fantastic journey through the Triassic, Jurassic and Cretaceous periods. Because really, what historical museum outing doesn’t end with a ride on a long-extinct giant reptile? 3) ZiGong Dinosaur Museum- See above! But, the most important thing I learned on Saturday came from one of the younger members of our excursion. As we walked towards the main exhibit hall, through a series of hillsides covered in dinosaur statues, he scurried up behind his mom, exclaiming, “Mom, I need to stay in the middle of the herd, that way I won’t be eaten.” It’s brilliant advice from one so young- if you’re little, stick with the herd, for the young and weak are the most likely to become lunch. When I’m back in the classroom, this will be my new field trip rule- stick with the herd, or be eaten! Easy enough. Fall. It’s a four-letter word in my book. I know masses of people love fall more than anything, but I am not one of them. Yes, I can appreciate the beautiful colors of the leaves changing (although, in Chengdu the leaves just go from gray with a green undertone to gray with a brown undertone, so there is no rainbow of earth tones to stomp through here), and I get that some folks love the cooler weather (again, I’m a fan of a cozy hoodie- for about three days and then I am ready to go back to tank tops and shorts), but overall, fall is just not my thing. Fall also means summer is over. I love summer. Even now, when I’m not teaching and don’t get the whole thing off. I love the when it is dark and still warm enough to sit on the deck at a restaurant. (Or, more fittingly for my current situation, on a plastic stool on the sidewalk.) I love getting an ice cream cone and going for a walk after dinner. And I love cute sundresses and sandals, neither of which is practical when I can see my breath in the morning air. But, as much as fall is not one of my favorite things, this year, I’ve decided I’m going to enjoy every minute of it, as it will be my last fall for…well, who knows how long. For at least two years, in Kuala Lumpur, there will be no need to pack away the skirts and sandals, and then 2016 could bring anything from the bitter cold of Nuuk or Ulan Bator to more time on the equator in Antananarivo or Nairobi. With KL only a few months away, I’m contentiously avoiding sweater shopping online. Old Navy and Maurice’s send me tempting emails on a nearly daily basis, but I’ve been diligent about deleting them without opening their percentage upon percentage off deals. To that end, I’m looking at all the great things fall in Chengdu has to offer. I’ve already ordered several new pairs of fun colored tights to brighten up the hazy days that have settled on our basin and this weekend I’ll make the dresser drawer transfer, moving my long-sleeved t-shirts and sweaters into the regular rotation and putting the summer clothes to rest in the spare bedroom. I’m guessing there is hotpot in my very near future and the fruity teas have reappeared on my desk at work. Fall is here, but it is going to be okay. I’ll wait patiently for the fan-shaped leaves of the gingko trees to turn yellow; I’ll throw a big Halloween bash at the consulate and have my heart warmed by the adorable toddler costumes; and I’ll enjoy the coziness of snuggling up in a hoodie, fuzzy sock and a throw blanket to watch hours of Netflix in an attempt to avoid death by pollution. 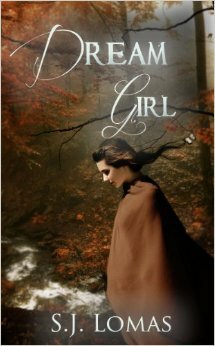 Dream Girl is the first in what will be a series of books by S.J. Lomas. As is the case with many inaugural books, much like TV show pilots, this narrative is very character focused, building the back stories of the characters who will reoccur in the following books, creating a strong foundation for future narratives. While character-focused books often go a bit slower than action-oriented ones, Dream Girl doesn’t get bogged down by the scaffolding needed to create a series. Right away, readers connect with Christine, our good-girl protagonist who is drawn to Gabriel, the darker, mysterious boy who is worth a bit of extra time. Not long after Christine meets Gabriel, through their part-time jobs at the local library, she experiences a terrifying incident where she is drawn into a dream world that she doesn’t understand and can’t break free of on her own. These jumps to another realm continue the more she gets involved with Gabriel, and it doesn’t take long for her to see that there is more to him than just a troubled young man. 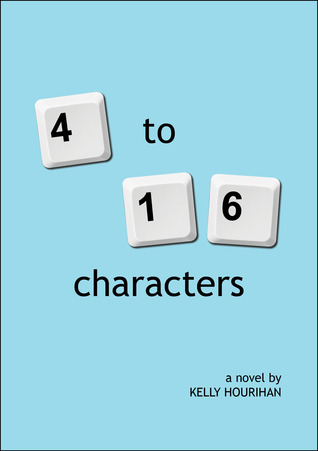 Written with teenage girls in mind, the love story plot of the book is immediately obvious and soon twisted into a bit of a triangle, as the young man meant to help Gabriel and Christine break free from the danger of the dream world becomes an additional possible love interest for Christine. Up until this point, I was pretty onboard with the narrative, but the turn towards a Twilight-esque love triangle left me a bit disappointed. I’d like to give teenage girls a bit more credit- having a strong female protagonist doesn’t require her to be attached at all times. Even though Gabriel is a major player in the book, I’m not sure many teenage boys would stick with this book to the end; the romance plays a little too heavily. Between work and travel, I’ve been terrible about posting book reviews lately, but that doesn’t mean I haven’t been enduling at my normal rate; I’ve just been too busy (lazy) to do write up my thoughts on them. Recently, I’ve been reading a lot of YA literature again, missing my middle school roots. 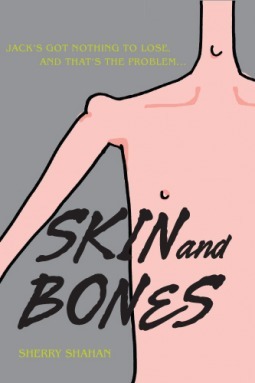 Skin and Bones by Sherry Shahan is one of those recent reads and is definitely different from its counterparts. Shahan’s book focuses on teenage eating disorders, but earns it’s distinction in that the main character struggling with anorexia, is male- Jack (aka: Bones). His “sidekick” throughout the book is a boy on the opposite end of the eating spectrum, who has nicknamed himself Lard, as he says it is better to give yourself the nickname then let others dictate it. So often, young adult fiction that zeros in on the world of eating disorders focuses only on the anorexia/bulimia side of that world and within those boundaries, looks primarily at female sufferers. The fact that the two main characters are male is this book’s saving grace. That is where my love of this book ends. There are just too many gaps in the storyline and too often I felt like I was missing a page of the book. For example, early in the book, just after Jack checks in to the eating disorder unit (EDU) at his local hospital, he attends a group therapy session, where everyone is given a writing assignment. After the session, he is invited to spend time with some of the other patients, but says he wants to go to his room to write. The next thing we know, he falls asleep and it is suddenly morning. The flow of the timeline is just off. As I read this section, I felt like I had skipped a page somehow. I even checked and rechecked the page numbers on my e-reader to make sure I hadn’t flipped too many at once. But no. There was no in between action. There was one plot point that really caught my attention, and then only earned about four sentences of exploration. When Jack’s parents come to the family day held by the EDU, his mom makes a comment about having starved herself for a week to try to understand what Jack was dealing with. She then mentions how at first she was hungry, but as the week went on, she felt voices encouraging her to be strong and felt a bit of power at denying herself the food. This seems like it could be a fascinating look into the psychology of eating disorders, but it is quickly swept under the rug. Disappointing. Skin and Bones takes place over the period of just a few weeks, which also makes the transformation of the main characters a little too convenient. People who really struggle with eating disorders don’t suddenly change all of their habits and thought process in such a short period of time. At times, the narrative seemed a little too convenient. You can read the first entry by clicking here. Once again, you bundled me up in a manila envelope to ship me around the world. While I love getting to visit ancient ruins, beautiful shorelines and see all the amazing sites the world has to offer, I do have to say that envelope-travel isn’t that fun. For a few weeks, all I see is a haze of brown and I get jiggled all over the place. Sometimes I even feel like I am flying! Do you think the mailman throws my envelope? But, in the end, the less than stellar travel is worth it so that I can help you learn about lots of cool places. This round of travel was centered in southern Europe. I started my travels in Rome, where I am afraid I missed the whole first day of touring, as my guide forgot me in her carry-on, so I spent the day resting up at the hotel so that I’d have lots of energy the following day. Once I finally made it out of the hotel, I got to see some spectacular sights, including the Vatican City, where I discovered that the guards wear some awesome yellow and blue pants that look like they are made of ribbons. I wonder if we should start wearing those in American. It is a pretty fun look! (It’s a good thing they had big spears with them, otherwise I don’t think they would have made for very scary guards.) At the Vatican, I also got to walk through the huge museum system and then visit the enormous St. Peter’s Basilica. The church is so huge that when I was inside, I felt like I was the size of an ant! A trip to Rome wouldn’t be complete without visiting the ancient sites as well, so I next asked my guide to take me to the Roman Forum and Coliseum. I had to fight my way into the Colisuem! As you can see, I was stopped by some gladiators who wanted a battle; they had full outfits of armor and giant swords. But, luckily, I convinced them that I was just Flat Hailey, on an adventure to see the world, so they let me pass. Thank goodness! Next up on my travel agenda was to head south: Pompeii and the Amalfi Coast. I was fascinated with the ruins at Pompeii. It is amazing how big the volcano, Mount Vesuvius is. And, it sits so close to the city! I think I would be a little afraid to live there. But, it is a beautiful mountain and easy to see why it’s eruption caused such a problem all those centuries ago. After walking around the ruins in the hot sun all morning, I thought lunch and some relaxing at the beach was a good way to spend the afternoon. Lots of pasta later, I strolled along the pebbly seashore, taking in the sunshine and blue skies. Beautiful! My guides spent a day out at Pisa, which I went along for, but because it was raining, I decided to stay on the bus. Because absolutely no bags are allowed inside the Leaning Tower of Pisa (including purses! ), they were worried I’d get ruined in the rain. I’m sad to have missed the tower, but glad I’m in one piece to continue my travels. Italy was great, but it wasn’t the last stop on my tour of southern Europe. With Rome, Pompeii and Florence under my belt, it was off to Athens, Greece. I only had a couple of days in the capital city, but I loved getting to see the Temple of Zeus and the Acropolis. I even got to sit in the exact seats were Greek comedies and tragedies were acted out. Amazing! One thing I learned while in Athens was that all of those white, marble statues of the gods and goddesses that we see in photographs were actually painted in bright colors! Whenever we see them, they are a gleaming white, but hundreds of years ago they were fully colored. I loved seeing the recreations of what they would have looked like when they were created. But alas, all good things must come to an end and that includes my little vacation. I’m now back in Chengdu, getting my envelope packed to come back to Idaho to tell you more of my travel tales. I’ll be in the mail on Wednesday, so expect me home the first week of November. I can’t wait to see you soon, Hailey! Thank you again for sending me off to see the world. I love it, but I will always come back to you. To begin with, I’d like to dedicate this blog post to the woman sitting in row 09, seat C on the KLM flight from Athens to Amsterdam last week. Without her sharing her lovely germs with me, I’d be at work doing my CLO thing, rather than curled up in my pajamas, under a blanket, on my couch, coughing up a lung. I’d suggest raising a toast to her, but considering this is the same woman who waited all of five minutes after takeoff before opening her purse and hauling out multiple travel-size shampoo bottles filled with alcohol and lined them up on her lap tray, I’d say less drinking in her name would be for the best. I like Argentinians. My brother spent two years in Argentina, and for the most part, they treated him well. When we went to visit, we enjoyed dinner with a lovely Argentinian family in their humble abode and felt welcomed by all of his friends. (I’m serious when I say humble. This home was made of construction site quality plastic wrap. As we sat on benches eating our meal with the family, a litter of adorable puppies crawled in and out of the house, between the plastic and the dirt ground.) I hadn’t yet met an Argentinian I didn’t like…until Daniel. From the time I was in middle school, I’ve loved tales of Pompeii and have always been fascinated by what it must have been like to see Mount Vesuvius erupt, so needless to say, I was especially excited for our daytrip out of Rome to see the mountain and visit the ruins. Nothing could dampen my giddiness at walking through history that morning. Or so I thought. Then, I met the chaos that is Daniel from Argentina. Thad and I were part of a three-person tour group. Daniel was our third. Daniel spoke very little English, but it was no problem, as our tour guide spoke both English and Spanish, but I should have known it was going to be a long day when the van hadn’t even pulled away from the hotel before Daniel was complaining. His first (of many!) complaints for the day was about the headrest of the seat in front of him. Apparently, it was too high and he couldn’t see out the front window well, but then when Roberta, our tour guide, tried to take it off, he hollered at her to stop because she was going to break it. But whatever…it was early. I figured this odd duck of a companion was just not an early bird. Things did not get better. Throughout the morning, whenever Roberta would turn to give us some information about an area we were passing or just to make a passing comment, Daniel would immediately demand that she translate everything she just said into Spanish. Which, to her credit, she was doing with the cultural and historical facts, but if I asked about a restroom, that hardly needed translated for everyone! Daniel was terrified of missing out on something, even something as mundane as asking about a road sign we passed. Once we reached Pompeii, Roberta handed us off to Hector at the site of the ruins. Hector was this amazing older man who spoke a handful of languages and had served as a guide to Pompeii for twenty years. We quickly bought our tickets and headed up the steep stone path to the entrance of the ancient city. Before we had even made it to the top, Daniel stopped Hector to complain about the language issue. We had not been at the site for more than ten minute and Daniel was yelling (not an exaggeration!) at Hector, saying he had paid for this tour and expected it to be in Spanish. He went off about how Hector was talking to us for four minutes in English and him for only two in Spanish, so he thought he was being ripped off. I felt a bit like we were watching the eruption of the volcano that lurked just a few miles from where we stood. It got awkward! Finally, Thad had me tell Hector to just do the tour in Spanish and then I translated the gist for Thad. (I must admit, I learned some great new Spanish vocabulary about volcanoes and Pompeii!) Hector would still jump back and forth between languages, but with me helping to translate, it took a lot of pressure of him because Daniel was just a jerk. The, as Hector was doing his best to make Daniel happy, Daniel spent the bulk of his morning hitting on our main guide, Roberta. He kept regaling her with stories of other places he had been and forcing her to scan through hundreds of pictures on his iPad- all while we wandered the remains of Pompeii! Several times, Hector had to holler at Daniel to get his attention, like a parent would do to a misbehaving child. Again, awkward! *Forcing the driver to stop multiple times along the narrow road that runs along the Amalfi Coast. Daniel insisted on getting the perfect iPad photo, regardless of the safety of the driver, guide or himself. Several astoundingly beautiful photo-ops were declared “ugly” and we would have to wind up the mountain a few more curves and try again. Ridiculous. *Constantly hitting on Roberta, our guide, who was a good twenty years younger than him. The woman was as graceful as possible in the situation, but Daniel was just not getting a clue. At one point, he expressed interest in not returning to Rome for the night, but rather staying in Pompeii to hike Mount Vesuvius the following day. Roberta and I jumped on board with that one right away, telling him what a great idea it would be. I was doing it to get a quiet ride home. She was doing it to avoid another date proposal. *And my favorite of the day: Daniel announcing that the worst part of Argentina is the Argentinians. At this point, I thought I must have totally misunderstood our conversation earlier about where we each were from, because he went off on how Dominicans are so much better than Argentinians. I finally leaned over and asked, “But, aren’t you from Argentina?” And yup, sure enough, he’s from Buenos Aires. Our day with Daniel was more than a little annoying, as he really was a terrible human being, but it looked up when he finally decided he *would* stay in Pompeii to hike the mountain the next day. With no efforts to change his mind, Roberta quickly found him a hotel for the night and we dropped him off before he could questions the decision, making our three hour trip back to Rome much more pleasant than it would have been otherwise. So no, Daniel, Argentinians are not the worst part of Argentina. You are. Go back there. Stay there. Your behavior is an embarrassment to your beautiful country.